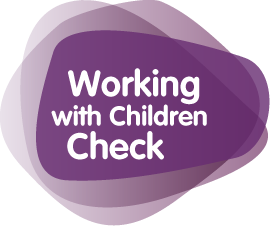 The Working with Children Check [WWCC] helps protect children from physical and sexual harm. It does this by screening people’s criminal records and professional conduct, preventing those who pose an unjustifiable risk to children from working with or caring for them. If you are doing or intending to do child-related work and do not qualify for an exemption, you need a Check. To see if you need a WWCC, visit: Who needs a Check?